Home / SkinCare / Vegan Skincare From NEEK Skin Organics. Vegan Skincare From NEEK Skin Organics. 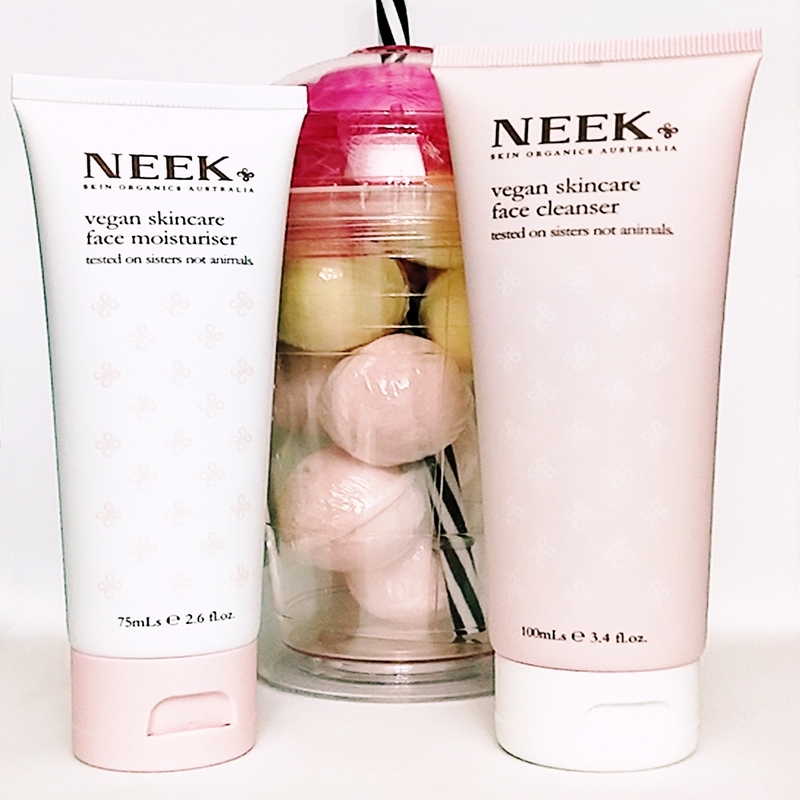 Discover the vegan skincare brand NEEK Skin Organics which is made in Australia and features products that are earth, animal & human-friendly, while being super effective! The founder of NEEK Angelique created her own products using simple and effective ingredients because of her own skin intolerance to parabens. Formulating products using natural, active ingredients, they are scientifically-proven to boost skins health and revive all complexions. All the products are not tested on animals, which is the NEEK ethos, and are presented in recyclable packaging to be environmentally-friendly. 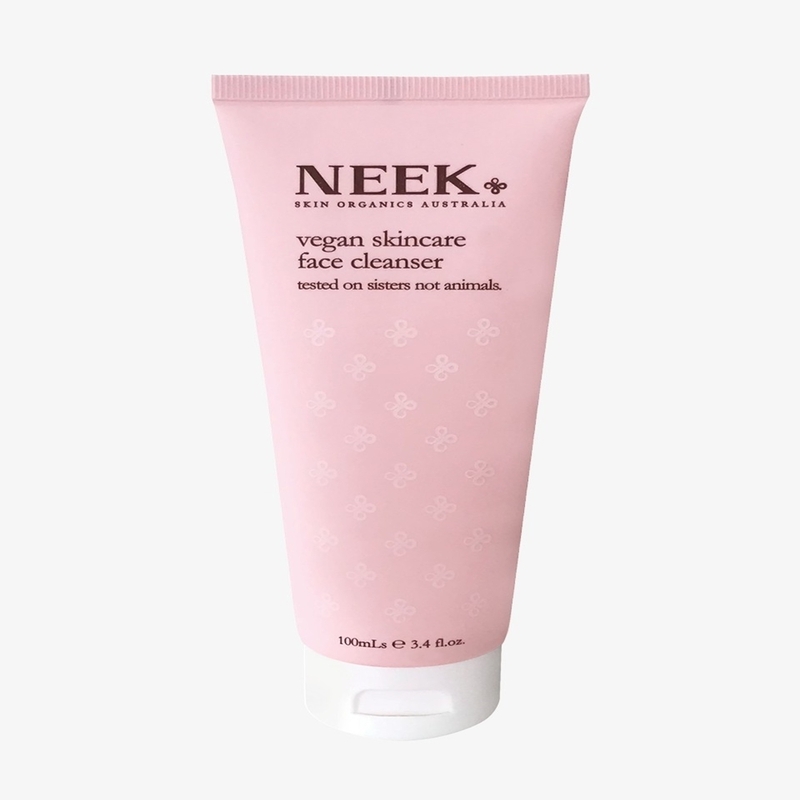 The NEEK skin organics vegan face cleanser ensures a gentle, but deep cleanse, using vegan botanicals to remove makeup and detoxify the skin, without stripping it. Incorporating sage, aloe vera, and calendula with other natural ingredients, the cleanser is great for acne and blemished skin, whilst also offering natural anti-ageing protection from bladderwrack and wild peach extract included. Applying to damp skin, the clear coloured cleanser glides over the skin with ease with a light natural scent detected that is enjoyable. Massaging into the skin, the cleanser does foam a little to ensure even skin coverage, before washing off with warm water for cleansed skin that does not feel stripped of its essential moisture. It does state you can repeat this step to perform a second cleanse if wearing any sunscreen or heavy makeup because the oils included will break these down, but I found one cleanse efficiently removes any product especially an SPF i usually have to remove twice, leaving skin feeling soft and supple and perfect to use morning and night. parabens, phthalates, mineral oils, palm oil, perfume, phenoxyethanol, gluten, propylene glycol, EDTA, beaver secretions, and other animal ingredients or animal by-products. The NEEK skin organics vegan face moisturiser is formulated to be a lightweight and non-greasy alternative from heavier moisturisers, but is still able to deliver a much needed hydration boost for all skin types. Hyaluronic acid retains skin moisture, while antioxidant wattleseed balances skin with anti-inflammatory properties (and much more) for a brighter complexion with a smoother texture. The potent anti-oxidant Aloe Vera soothes and moisturises to help compromised and dehydrated skin, while also helping to reduce acne and accelerate wound healing. Applying to the face, neck, and decolletage, the moisturiser glides over the skin with ease and absorbs instantly when using gentle massaging movements. A light and natural scent can be detected with soft and smooth skin that feels hydrated and supported throughout the day. parabens, phthalates, mineral oils, palm oil, perfume, phenoxyethanol, gluten, propylene glycol or EDTA, sheep grease, and other animal ingredients or animal by-products. I was really impressed in how the cleanser and moisturiser performed with only using a little of each product. Suitable for all skin types, while also being essentially great for acne or combination skin, it also appeals for people looking for natural anti-ageing properties in their skin care products. The easy dispensing from the eye-appealing and travel-friendly tubes is great for people to lavish their skin with high quality ingredients if you have little time to spare in your morning or evening skincare routine. Find out more about the vegan skincare range from NEEK Skin Organics by clicking on the blue link, X Neil.